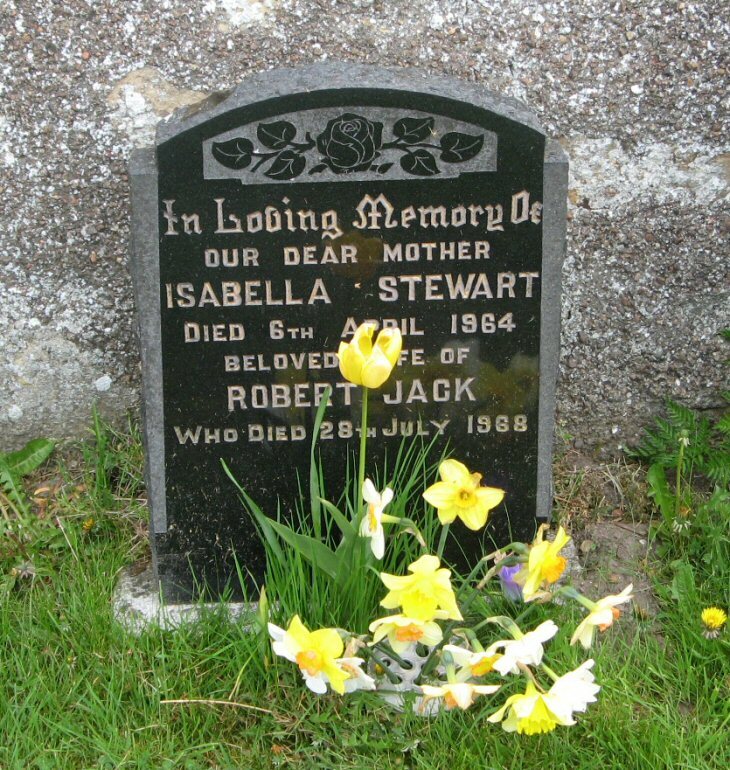 Ross & Cromarty Roots | Isabella (Stewart) & Robert Jack. Isabella (Stewart) & Robert Jack. In loving memory of/our dear mother/ISABELLA STEWART/died 6th April 1964/beloved wife of/ROBERT JACK/who died 28th July 1968. Picture Added on 28 April 2011. Isabella Jack was my father's first cousin on my grandfather's side of the family. Added by Heathrer Fraser new stewart on 30 March 2017. Added by H fraser on 05 July 2018.